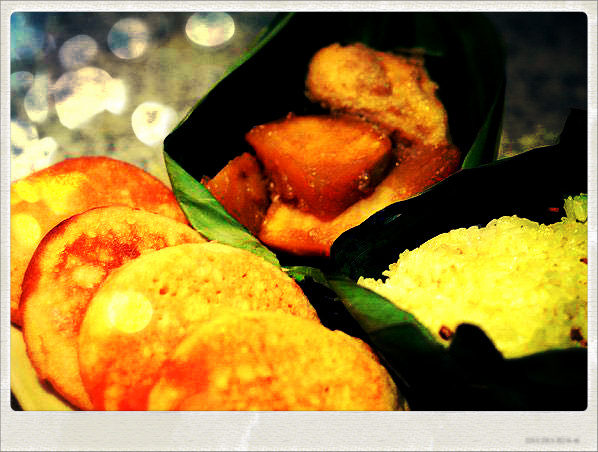 Apem eat cake to remark the arrival of the fasting month commonly performed in Jogja / Java. Apem cake trust name comes from the word "Afwan" in Arabic, wich mean forgiveness. So symbolically eat cake can be interpreted apem aplogize all family, relatives and friends.After eating cake Apem the people who gathered usually great each other, shaking hand apologized and continued the show with Tahlilan. Nyadran have known such a tradition of our ancestor for long time ago. After Islam introduce the archipelago (about the 13th century) such tradition has been known Nyadranthis society, is slowly begining acculturated with Islamic teachings. When Wali Songo spread Islam in Java this tradition back to "modivied". Finally happened blend of ritual, among the Jave community trust the teachings of Islam, with then produce Nyadran tradition. But lately Nyadran tradition began to disappear because many Islamic group began to clear of acculturation.